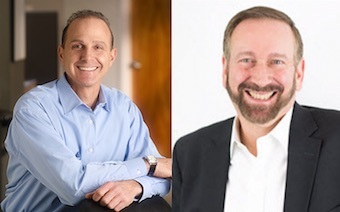 New York-based financial and tech firm Feintuch Communications has launched a joint venture with Fairlawn, NJ-based full-service agency Rosica Communications that will now offer complimentary communications services to each firm’s existing and prospective clients. Leaders from both agencies told O’Dwyer’s that the collaboration aims to leverage both firms’ strengths and resources to the benefit of each firms’ respective clients. Feintuch, which was founded in 2009, represents consumer tech and clean tech companies, as well as clients in the financial services sector. The agency in 2016 accounted for about $1 million in net fees, revealing an 18 percent year-over-year uptick in growth from the year prior. Rosica, which was founded in 1980, has clients in the B2B as well as consumer packaged goods, food and beverage, healthcare and nonprofit sectors. The agency, which was formerly headquartered in Paramus, accounted for more than $1.4 million in net fees last year.